For 24 years, literary scholar Robert Alter has been working on a new translation of the Hebrew Bible and — “this may shock some of your listeners,” he warns — he’s been working on it by hand. “I’m very particular — I write on narrow-lined paper and I have a Cross mechanical pencil,” he says. The result is a three-volume set — a translation with commentary — that runs over 3,000 pages. Alter says it was the “very high level of artistry” in the language of the Bible that drew him to the massive undertaking. 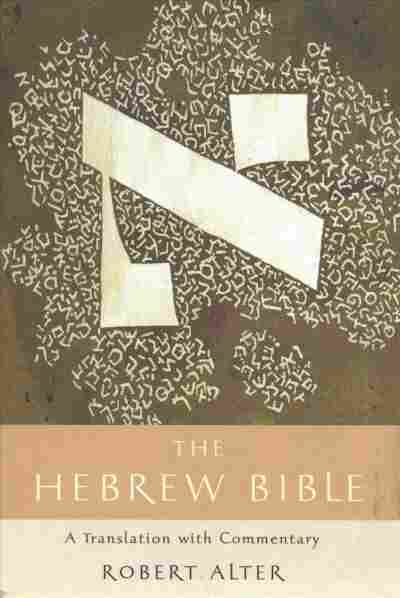 “The existing English versions simply didn’t do justice to the literary beauty of the Hebrew,” he says. As he worked, Alter found himself removing “Christological references” in the existing English translations. “In trying to be faithful to the literary art of the Hebrew Bible I certainly edged it away from being merely a precursor to the New Testament — which is a different kind of writing all together,” he says. Take, for example, the word “soul” — you won’t find it in Alter’s translation. Alter also tried to steer clear of words with a lot of syllables — you don’t find many of those in biblical Hebrew, he says — and he omitted words that felt extraneous. Alter points to one example in Psalm 30: The King James translation uses the phrase “What profit is there in my blood?” Alter removed “is there” to leave: “What profit in my blood?” Which he says is much closer to the rhythm of the Hebrew. Alter always makes an audio recording of his work before handing it off to the transcriber — that way he hears everything out loud. Of course, some day down the road another translator will come along and attempt to improve on his work.